The 5-2 victory over Tottenham has secured bragging rights over their North London rivals for another few months, but it has only papered over the cracks that are emerging at the Emirates over the past couple of years. Arsenal fans need not be reminded that their last silverware came over seven years ago, and they are currently in the midst of their worst start to a Premier League season under Arsene Wenger. The real problem would appear to be a lack of a coherent plan for the future of the club. Waiting for tomorrow seems to have been the permanent mind-set of the club ever since the Invincibles began to disband. Initially, it was the new stadium that would temporarily hold the team back on the pitch, but financially would secure the club as a force for the distant future. Then it was the era of the ‘Young Players’, who we were constantly told would be the dominant side in the coming years. Now it is the introduction of UEFA’s Financial Fair Play regulations that is the solution – once they are implemented, Arsenal’s strict financial rules will set them in good stead at the expense of their bigger spending rivals. However, there are questions over whether this is actually the case. Over the past couple of years, Arsenal’s wage bill has spiralled upward to the point where they are now comfortably the fourth highest wage bill in the division, not far behind the likes of Chelsea and the two Manchester clubs. The real problem is that comparing the Arsenal squad with those three, it is not clear where the money is being spent. Rather than building a team of young and hungry players that will become the lifeblood of the side, Arsene Wenger seems to have built a squad of players that are at their peak, but who are simply not quite good enough for what the club hopes to achieve. Whatever the board and management want people to believe, Arsenal are no longer operating on a shoestring budget. Despite the cries of the fans for Arsene Wenger to spend more money, it is not as though he has been overly frugal. In the past seven seasons, Arsenal have spent over £200m, or an average of £30m each year. Although they have recouped plenty of the money, predominantly from the sales to Manchester City, it is difficult to argue that a lot of this money has not been wasted. Instead of buying lots of cheaper players, looking to try and find that single gem, there is the suggestion that Wenger might have been better splashing out on a couple of proven players. The other problem is the focus of the transfers in recent years. For a while now, it has been clear that the defence is the major problem for the club. However, Wenger continues to spend the money on attacking players. In the past two years, the club has signed Alex Oxlade-Chamberlain, Park Chu-Young, Gervinho, Olivier Giroud, Lukas Podolski and Santi Cazorla. This is in addition to Theo Walcott, Ryo Miyachi, Marouane Chamakh and Andrey Arshavin, who were already at the club. Instead of constantly bringing in a string of average to good attacking players, he might have been better to bring in one world-class player to partner Robin van Persie, and spent more time on improving the defensive side of the team. There is little doubt that Arsene Wenger has built some excellent Arsenal teams over the years. When he joined, he inherited one of the country’s best defences, consisting of David Seaman, Nigel Winterburn, Lee Dixon, Tony Adams and Martin Keown, as well as the mercurial talent that was Dennis Bergkamp. To this squad, he added the French quintet of Patrick Vieira, Emmanuel Petit, Thierry Henry, Sylvain Wiltord and Nicolas Anelka – five key players from the French national team that were undoubtedly the best team on the planet at the time. As his defence aged, he successfully phased in replacements. Jens Lehmann was a hugely experienced and successful goalkeeper, Sol Campbell and Kolo Toure formed an intimidating and powerful central defensive partnership, with Lauren and Ashley Cole on the flanks. These five formed the base for the Invincibles. With Patrick Vieira and Gilberto Silva as the holding midfielders, they formed an intensely intimidating force. Attacking players dreaded playing Arsenal. One only needs to look at the famous incident when Ruud van Nistelrooy missed the penalty and the Arsenal players were surrounding him and intimidating him. 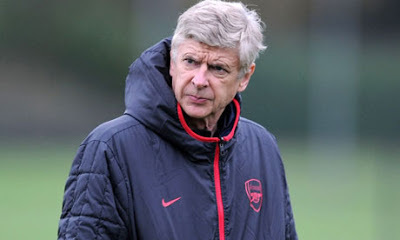 However, following the Invincibles season, Wenger appeared to change his model, moving toward the Spanish model that the Spanish national side and Barcelona were on their way to perfecting. He signed the likes of Cesc Fabregas, Jose Antonio Reyes, Fran Merida, Ignasi Miquel and Manuel Almunia. Over the past few years, they have been linked with plenty of good defenders that they have missed out on due to not wanting to pay the fees. Vincent Kompany was often linked to the club before he joined Manchester City, where he has become one of the world’s best defenders; Gary Cahill has now become an FA Cup and Champions League winner; Chris Samba, who could have provided the physical and intimidating presence at the back, is now playing for Anzhi, where he has helped lead the side to the top of the Russian Premier Division. Similarly, the quality of the goalkeepers since David Seaman and Jens Lehmann has simply not been good enough. Manuel Almunia, Lukas Fabianski, Vito Mannone and Wojiech Szeczny have all been tried, as well as bringing back Lehmann, without any great success. Recent events have proven the value of building a team from the back. For all their attractive passing football, the Spanish national side is built around a solid defence that rarely concedes goals, even against the very best. Jose Mourinho’s teams are always renowned for their defensive solidity. Internationally, Italy won the 2006 World Cup on the back of an excellent defence. Greece entirely relied on their defensive organisation to win Euro 2004. Ditto with Zambia in the 2011 African Cup of Nations and Uruguay in the 2011 Copa America. In addition to this seeming failure in the defence, Arsene Wenger made the mistake of allowing the experienced players to leave. He has been much praised for cashing in on his stars just as their talent begins to wane. However, this ignores the value of the experience and help that these experienced players can provide for the younger players. Manchester United have demonstrated the value of keeping the experienced players around with Edwin van der Saar, Ryan Giggs, Gary Neville and Paul Scholes. They can pass their skills and knowledge onto the younger players, as well as doing a job on the pitch when needed. In just a few short years, Arsenal went from possessing a squad packed with World Cup winners and Premier League winners to a young, technical and inexperienced side, with little experience of winning trophies. The final problem is that Wenger’s big signings and his marquee youngsters have generally flattered to deceive, and have not really progressed since they joined the club. Andrey Arshavin was excellent in his first six months, but has gone downhill the longer he has spent at the Emirates. Jose Antonio Reyes came with a big reputation and price tag, but lacked the consistency and eventually returned to Spain. Gervinho has flattered to deceive, while Theo Walcott, despite being hailed as one of the country’s best prospects, is still to properly nail down a starting place after seven years at the club. This season, it would appear that Wenger has accepted the failure of his Spanish experiment. Whether due to a tactical rethink or the loss of his most talented players, Arsenal have returned to a more balanced approach, pressing less up the pitch, and counter-attacking quickly when the opportunity presents itself. However, his major problem is the heart of midfield. Mikel Arteta and Santi Cazorla are the creative players, but there is a complete lack of dominating players to effect the rapid transitions that are necessary for this tactic to flourish. By not signing a replacement for Alex Song, Wenger was sending the signal that he was relying on the fitness of Abou Diaby and Jack Wilshere – two players that have had a long list of injury problems over the past couple of years. The coming season and the January transfer window could be critical for the future of Arsene Wenger and Arsenal. Champions League qualification is by no means a certainty and missing out on this will damage their financial hopes for the future. In addition, if they fail to secure a place at football’s top table, they will face a challenge to keep their star players – the likes of Santi Cazorla, Theo Walcott and Thomas Vermaelen will attract plenty of interest, and even Jack Wilshere could be targeted by other clubs. It raises the question of whether Arsene Wenger is still the right man for the job. Recent years have indicated that he might be more suited to moving upstairs into a Director of Football-type role, allowing a new manager with new ideas to take the helm.